Today I'm using the new K105 Sweet Snowman stamp. He really is sweet, don't you think? I used Copics for coloring, and added a touch of Stickles to the dots on his scarf. This cute little guy would have worked for our Bling on the Holidays Challenge...come join us! Stay warm everyone and have a great day! 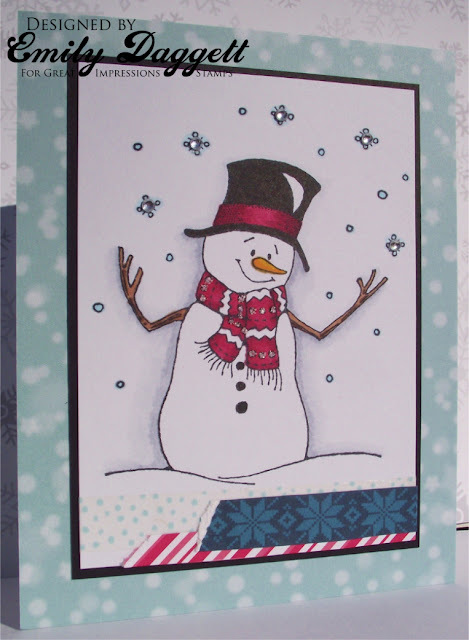 He is a sweet snowman, great card! A completely adorable card and super sweet image!